This is another new page, and will take essentially be under construction for a while. 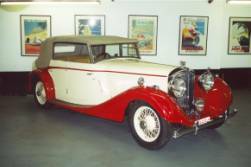 Most of my friends are aware that I have begun looking at Rolls-Royce and Bentley automobiles with some small amount of intent. I thought you might like to accompany me on the learning experience. I think I first got bitten by the “PMC” bug when I was in England in 2002. 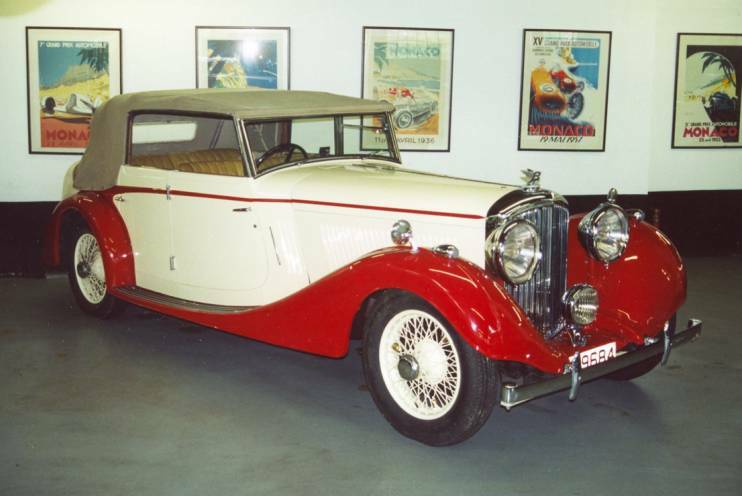 I spent several of the days I was in London traipsing through some of the various old car dealers that I had been reading about in the British car magazines for years. 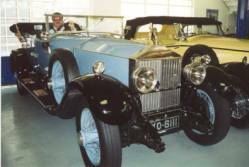 There were three cars that I was particularly taken with, one Rolls-Royce and two Bentleys. As I have related elsewhere, I have followed these cars as best I can. 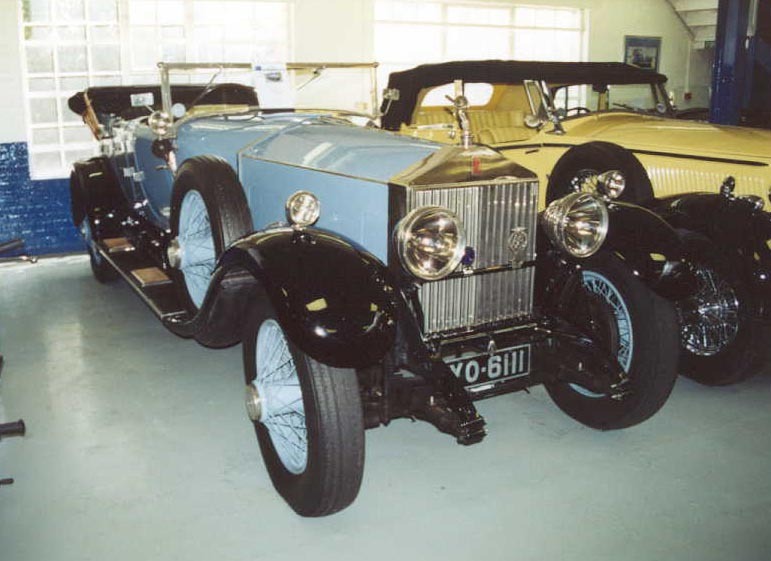 The Derby Bentley (left) is currently listed with a different dealer in London. 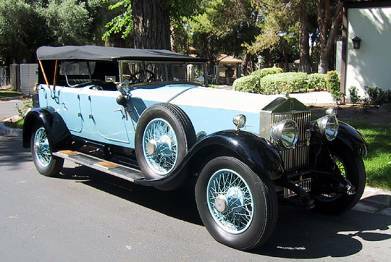 The Rolls-Royce (center) is back in the United States, for sale in Las Vegas. 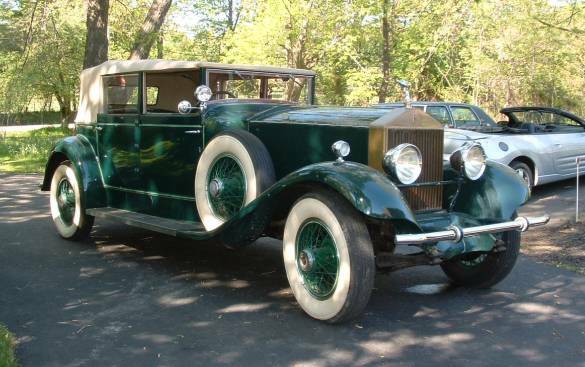 The Vintage Bentley was sold, and I do not know where it went. More than a year later, I found this car again, and it’s now in Las Vegas, and again for sale. It comes with a new and improved price tag of $175,000. And no, I still cannot afford it. Drat. 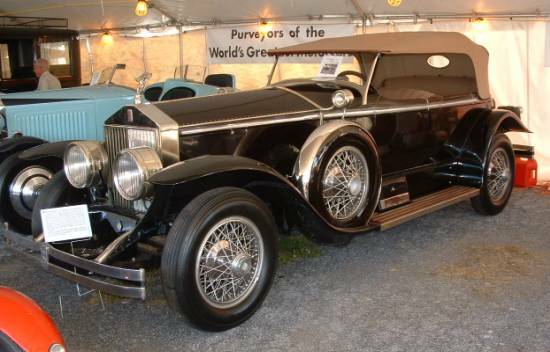 The car above is a 1928 Phantom I Springfield Ascot tourer. I found this car at Hershey this year (2004). 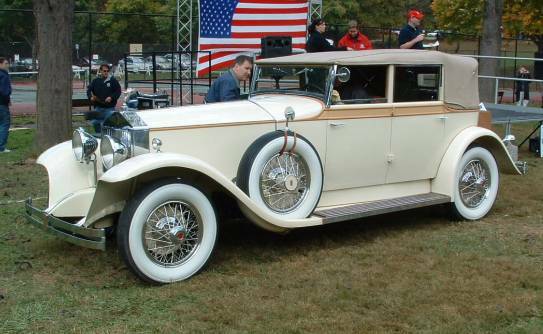 It is even more expensive than the car in Las Vegas, and being a phaeton, just as impractical. 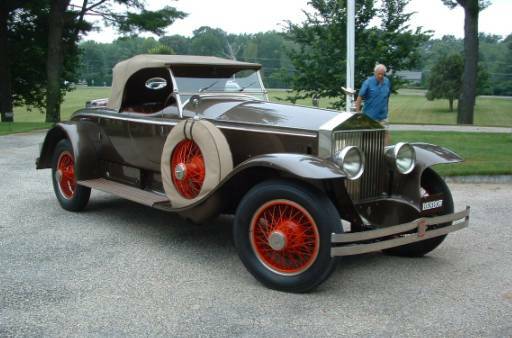 This is a 1925 York roadster, which was posted on the bulletin board at the RROC meet in Greenwich. I went to look at it after the meet was over. It’s a beautiful car, and it runs very nicely, but I can’t quite get my mind around the price tag. 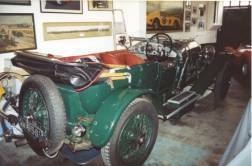 This is a 1936 Vanden Plas Allweather I found sitting in a dealer’s showroom in London in 2002. It is still there. I’ve had a friend look it over, and it is in reasonable, but not perfect condition. Next is to have a mechanic’s inspection. I have given some thought about making the dealer a really cheeky offer. The worst they can do is laugh, right? I finally had the car checked out by a mechanic who is a friend-of-a-friend in London. His opinion was that the car needs brake, suspension, steering, and carburetor work. And then there are the worn and broken window winders and door latches, the missing interior trim pieces, and the interior wood that needs to be refinished. Oh, and it needs new tires, too. I had been wondering why the car has sat unsold in the dealer’s showroom for over two years. Now I know why.